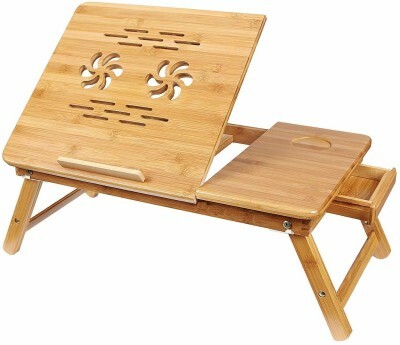 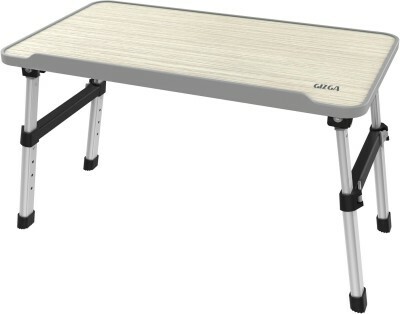 MULTIFUNCTIONAL BAMBOO LAPTOP DESK - 100% natural bamboo, environment friendly and sturdy; used for surfing the Internet, eating food, coloring, reading, doing homework on the bed, sofa, recliner, floor, car, etc. 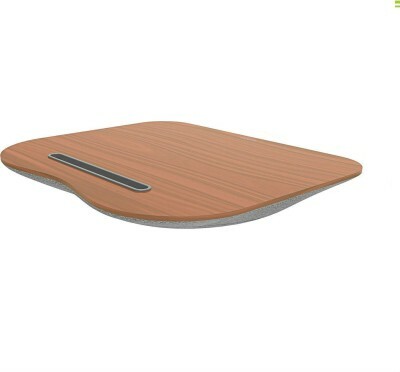 ADJUSTABLE DESIGN - Adjustable legs' length and 4 slots tray tilting angles for better viewing experience HEAT DISSIPATION FUNCTION - Beautiful hollowed out swirl-shaped desktop design for better heat dissipating CONVENIENT DESIGN - Worry-saving Cup-Groove. 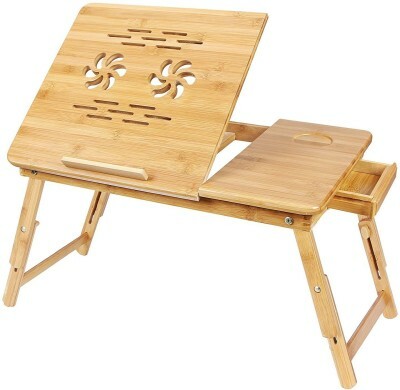 Small drawer for storing pen, note pad or phone. 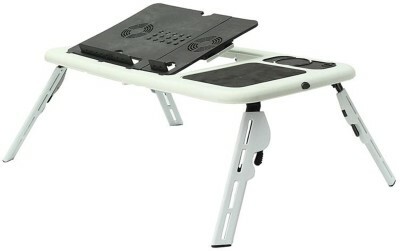 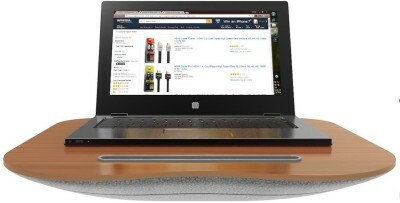 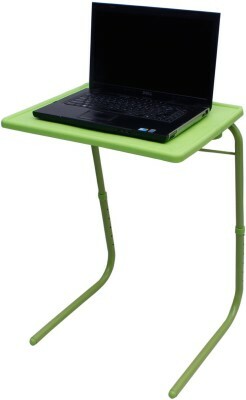 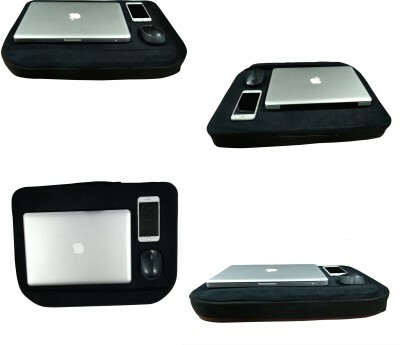 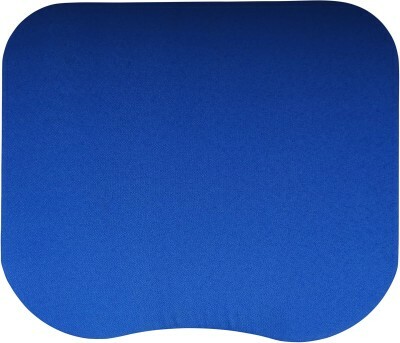 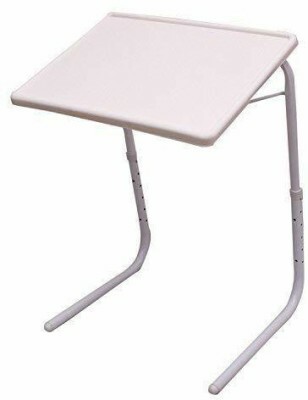 A stopper prevents your lap from slipping from the desktop PORTABLE LAPTOP DESK - Product Size: 50cm L x 30cm W x 29cm H.